Welcome to another day of MOVIE MADNESS MARCH! Today, Tif from Tif Talks Books and one of the creators of Book Bloggers International is here to briefly chat about music in the (literary) movies. She provides a few favorite songs and albums, but be sure to list your own personal favorites in the comment section below. We talk about book to movie adaptations all the time. The good ones. The bad ones. Even, the ugly ones. BUT, let's take a little different approach today and look at some of our favorite books and the music that has been a result of these movies. I'm talking some of my favorite tunes to listen to on a daily basis. The first one that comes to mind is from a recent movie -- "The Hanging Tree" from Mockingjay, created by the amazing Suzanne Collins and in the version I prefer, sung by Jennifer Lawrence herself. It is haunting, yet beautiful, and I could listen to it over and over again. The second song that comes to mind is from one of my favorite book to movie adaptations -- "May It Be" performed by Enya and played during the credits of The Lord of the Rings: The Fellowship of the Ring. Absolutely gorgeous. Then, there are complete albums that I like to listen to on a regular basis: anything from the Harry Potter movies, every single album from The Lord of the Rings trilogy, and Jurassic Park to name just a few. These are mostly instrumental and perfect for when I'm reading or writing . . . especially if I am reading the books that they are associated with! Last, but not least, there are albums that come to mind that are a compilation of songs that many of us may already be familiar with, but become one album of complete awesome. The most recent one I can think of is Guardians of the Galaxy. Talk about a fun one to listen to! Here is just a little teaser for your enjoyment. I know that I am missing so many more songs and albums that are associated with literary movies. Now it is your turn. Tell me your favorites, and feel free to link to Spotify, YouTube, and more, so we all can enjoy the music! I l o v e hanging tree. I'm sad that they keep playing some ridiculous remix version on the radio but at least it's better than countless other songs about what happens with b*tches in the club or whatever. Wesley Hoffman ... I'm really not a fan of that radio remix either! I wish they would just play the original song. May it be by Enya is so beautiful. Fits the Elvish vibe so well! Suey ... Oh my goodness! Yes!! How did I forget this one?!? Featured Blogger: Riley from Book Blogs! MOVIE MADNESS: The Votes Are In! MOVIE MADNESS: Last Day to Vote!! MOVIE MADNESS: Libraries in the Movies! 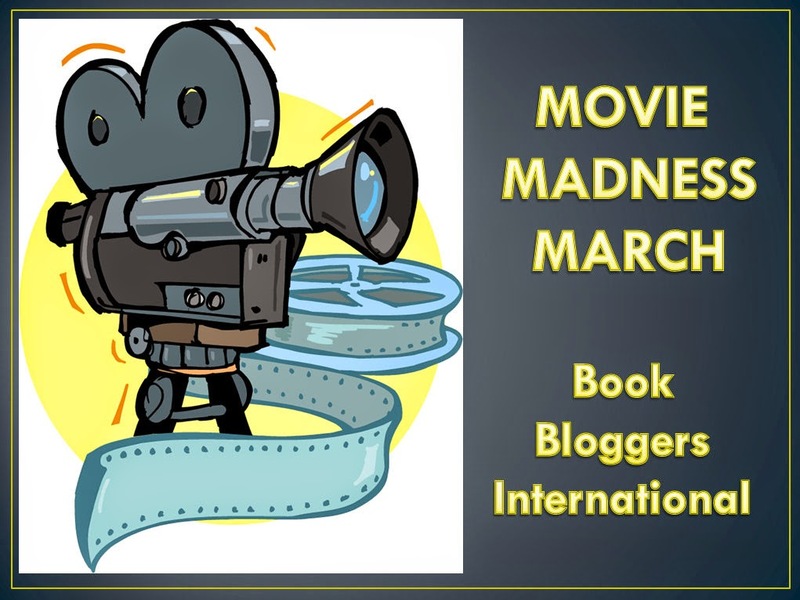 Welcome to Movie Madness March!